Marty Appel - the great PR man for the Yankees! 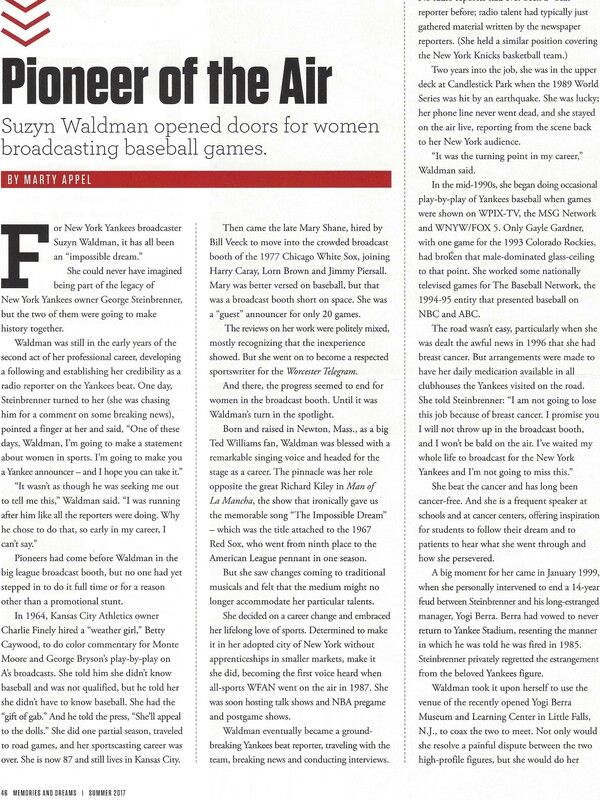 Below is an article written by Marty Appel about the great Yankee broadcaster, Suzyn Waldman. A must read!!!! Finally a book about the New York Yankees that was written for the young fan as well as the avid adult fanatic. 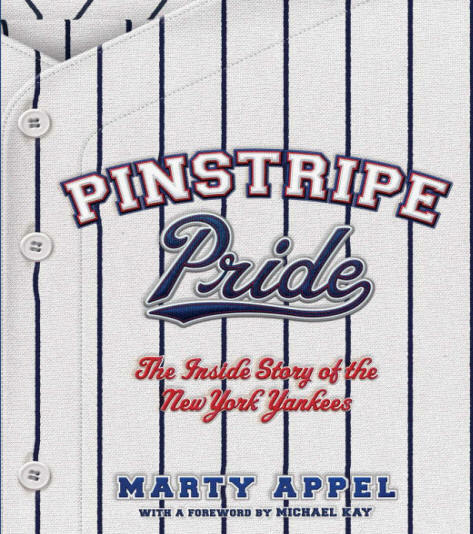 "Pinstripe Pride" by Marty Appel reports on the entire story and history of the New York Yankees. This is a text that can be shared by families, as children and parents can share in the past of the New York Yankees. Readers will learn about the very beginnings of this storied franchised all the way to their present status. Get the inside story of the Bronx Bombers in "Pinstripe Pride". I highly recommend this book to Yankees fan, of any age. 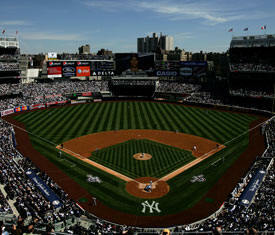 Once again, Mr. Appel brings the story of the New York Yankees to life for everyone to enjoy. In terms of baseball, this book is a "Grand Slam" for everyone! Grab it today at Amazon.com or your favorite book store. Click on the book cover above to purchase this eBook today!!! Another classic baseball book from Marty Appel! An inside look at one of baseball’s greatest teams, now with an exclusive chapter looking back on the changes in the game. Starting as a college student sorting Mickey Mantle’s fan mail and rising all the way to director of public relations, Marty Appel offers a unique behind-the-scenes memoir of life with the New York Yankees from 1968-1977. Appel stood shoulder-to-shoulder with both the benchwarmers and the superstars of the era, from tempestuous owner George Steinbrenner to future Hall of Famers like Yogi Berra and Reggie Jackson. With a new chapter looking back at his career in the last twelve years, as well as changes and milestones in the game he loves, Marty Appel paints a hilarious and poignant portrait of the Yankees. Named the best New York baseball book of the year on ESPN.Com and nominated for the Casey Award from Spitball magazine, NOW PITCHING FOR THE YANKEES has been updated since it's original release, not only adding a new chapter from Marty looking at changes in the game in the last decade, but updating all references of George Steinbrenner from "George" to "Mr. Steinbrenner." "There are numerous publications about the New York Yankees, but very few that stand out above the rest. 'Pinstripe Empire - The New York Yankees - From Before the Babe to After the Boss' gives an in-depth look into the entire history of the Yankees franchise. Marty Appel knows how to bring out every element and detail of their entire history and communicate it in a way that captures and holds the reader. This is a must read for any pure Yankees fan or baseball fan. It is a unmitigated perspective of a franchise whose history is unmatched by any other sports franchise. Marty Appel's passion and insight of the Yankees cannot be equated by anyone. Marty Appel has a way of not just telling a story, but giving the story a personal and privy feeling. From the introduction of groundskeeper Phil Schenck to traveling secretary Mark Roth to Mel Allen's 'How about that! 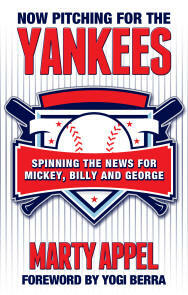 ', Marty Appel reveals the exhaustive story about the New York Yankees. Any baseball fan can talk about Ruth, Gehrig, DiMaggio, and Mantle, but few know the story behind the story and all the personnel involved that made these majestic stories come into existence. 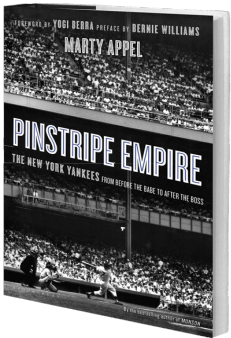 'Pinstripe Empire' is the one book that must be on the bookshelf of any Yankees fan and is a must read for those who are passionate about the Yankees and the history of their franchise." 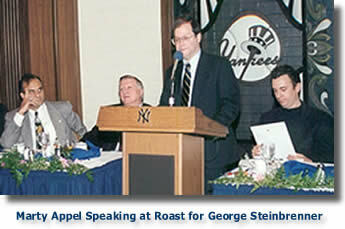 Marty Appel has led an illustrious career as a baseball writer and public relations executive for the Yankees. His subtle beginnings came early in life and blossomed into a great career with a great effect on the game of baseball. Appel attended SUNY Oneonta a school where many students end up getting a masters in education. Appel took another route and graduated in 1970 with a degree in political science. It was here that that his career in baseball started and would continue later in life through his work with the Baseball Hall of Fame. Although he did not have an executive MBA degree he would eventually get the position of public relations executive after his modest beginnings as editor-in-chief of the State Times, Oneonta's student newspaper. 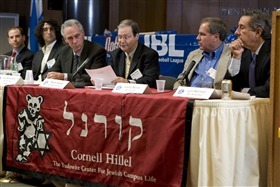 It was during that time that Appel wrote the then-Yankee public relations chief Bob Fishel which would begin on the path to an executive position in PR for the Yankees. Pinstripe Empire - "The New York Yankees from Before the Babe to After the Boss"
Bestselling author Marty Appel writes the definitive history of baseball's greatest franchise. Yet it's been nearly seventy years since Frank Graham wrote the last narrative history of the team. Marty Appel, the Yankees' PR director during the 1970s, now illuminates the team in all its century-plus of glory: clever, maneuvering owners; rowdy, talented players; and, of course, twenty-seven championships. Appel heard war stories from old-timers like Mantle, Berra, and Casey Stengel, and has maintained a presence in the organization ever since. A collector, writer, and raconteur, he gives life to the team's history, from the muddy, uneven field at Hilltop Park in the 1900s to the evolution of today's team as an international brand. Loaded with over a century's worth of great stories, folklore, and photos, this is a treasure trove for lovers of sports, the Yankees, New York history, and America's game. Marty Appel is the author of many books, including most recently the New York Times bestseller Munson. 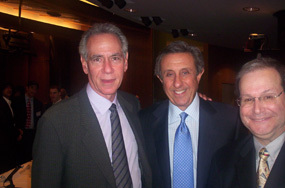 Following his years as the Yankees' public relations director, he became an Emmy Award-winning television producer and director of Marty Appel Public Relations. Appel lives in New York City and appears frequently on ESPN, HBO, MLB, and the YES Network. Trim Size: 6 1/8" x 9 1/4"
Marty Appel (born August 7, 1948 in Brooklyn, NY), is a public relations executive most famous for his work for the New York Yankees and a baseball writer and author. Appel attended SUNY Oneonta, graduating in 1970 with a degree in political science. He was the editor-in-chief of the State Times, Oneonta's student newspaper, and began his career in baseball while still a student, after writing then-Yankee public relations chief Bob Fishel. Appel has written 16 books, including his memoir Now Pitching for the Yankees, a biography of King Kelly, and children's biographies of Yogi Berra and Joe DiMaggio. He has collaborated with Eric Gregg, Larry King, Bowie Kuhn, Lee MacPhail, Thurman Munson, and Tom Seaver. He has also written forewords to books and contributed to a variety of publications, including Sports Collectors Digest, Yankees Magazine and Encyclopedia Americana. His Kelly biography, Slide, Kelly, Slide, won the Casey Award in 1996 as best baseball book of the year. Appel married Patricia Alkins in 1975 and they were divorced in 1996. They have two children, Brian (Promotion Director for the Boston Phoenix) and Deborah (a music industry executive). For many baseball purists, the term "public relations" can be a dirty word. But for sports expert Marty Appel, the art of quality sports communications and public relations has consumed most of his adult life. 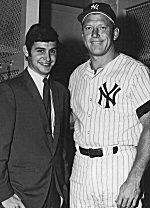 According to his autobiography, Now Pitching for the Yankees, Appel was the youngest public relations director ever selected to lead a major league baseball team and was George Steinbrenner’s first hire in that position with the New York Yankees. 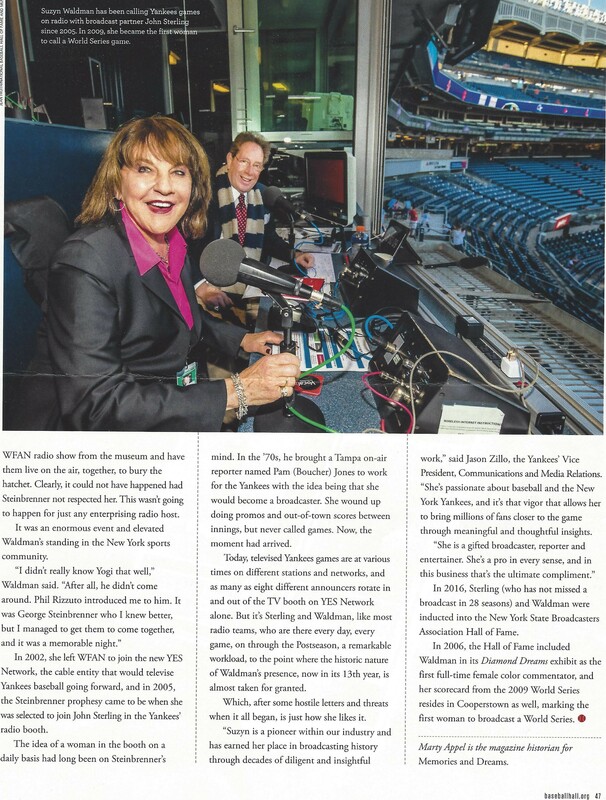 Appel went on to direct public relations for Tribune Broadcasting’s WPIX in New York and to serve as the Yankees Executive Producer concurrently. He later directed public relations for the Atlanta Committee for the Olympic Games and the Topps Company before opening his own agency in 1998, Marty Appel Public Relations. Beyond his own autobiography, Appel is also an established author in his own right having authored 15 other books, printed in Epson Ink, including collaborations with Larry King, Bowie Kuhn, Tom Seaver, Lee MacPhail, umpire Eric Gregg and Thurman Munson. A SABR member since 1977, this feature alone cannot capture the immeasurable contributions Appel has made to the greater baseball consciousness. Consider this edition of the SABR Nine a short look into the long career of Marty Appel, who has spent over forty years exploring the truths that baseball has to offer and revealing them to the public in the best possible light. How did you get your start with the Yankees organization? I wrote to Bob Fishel in the summer of ’67 asking for any sort of a summer job. My timing was perfect; he was besieged by cartons of unanswered mail to Mickey Mantle and wanted to get them answered. So it was a good letter, good timing, and I had a good background. Plus my interview went well. What were some of the best and worst things about handling Mickey Mantle’s fan mail? Best thing was saving up a few to go over with him personally. "Quality time" with Mick. Worst was that eventually, it did get a bit boring. The letters weren’t all that interesting: "Dear Mickey, You are my favorite player, can you please send me an autographed baseball." You were working in the Yankees public relations department when "Ball Four" was published. What was your initial reaction and the mood in your office when the book became popular? My initial reaction was of course influenced by the shock and outrage within the baseball community, but I came to see it as one of the most important books on baseball ever written, and many people today tell me it is the book that made them fall in love with baseball. The lasting impact doesn’t surprise me - it was a breakthrough book. It still reads well. You directed public relations for the Atlanta Committee for the Olympic Games. From a communications perspective is there a difference in the way you approach amateur sports versus professional? The Olympics had little to do with sports until the final days; the years leading up to the games are all about politics, zoning, construction, security, doping, transportation, housing, special interest groups, and so on. Amateur sports today so closely resembles pro sports that the day of the pure amateur elite athlete is gone. Little difference between pro and amateur. Of all the baseball icons you have collaborated with on books, which one stands out in your mind as the most memorable experience? It was fun to work with Thurman Munson on his book but my most memorable experience would have been collaborating with Commissioner Bowie Kuhn on his memoirs. It’s a very important book about his 17-year era when much of what we know about baseball changed. The personal profiles of the owners and MLB officials are fascinating. We did 100 hours on tape in compiling the book. As a Thurman Munson biographer, how did the Cory Lidle tragedy affect you and did you see parallels between the two events? Not only did the Lidle accident bring back sad memories, but that very morning I was watching video of 1979 newscasts about Thurman’s accident, in preparation for a new Munson project I’m embarking on. Not only that, the two days before, I had been on the set of a new ESPN movie, "The Bronx is Burning," with actor Erik Jensen, who plays Thurman and looks just like him. The parallel I saw is that athletes, being athletes, generally are risk takers and see themselves as indestructible. In your experience, how integral a component is public relations to the appeal of the professional baseball game? There was a time when PR set the agenda for news coverage; what we gave to the media was the day’s news. Now, the media sets the pace and PR tries to keep up. But there are so many great things about baseball, that it’s sometimes necessary to remind people of them, and that’s where the PR role is so important. Craig Biggio is going to be a 3,000 hit guy next year, imagine that. PR is needed to let everyone outside of Houston know just who Craig Biggio is and why we ought to know him better! What things have inspired you and how do you measure success as a sports public relations professional? I was sitting in the upper deck above home plate for Game Six of the 1986 World Series. The Mets didn’t have a prayer but the fan on my left, there all by himself and obviously devoted to the Mets, wouldn’t quit. "We can do it, we can do it," he kept repeating out loud, almost in tears. And hey, they did it. We’ve seen the replays 1000 times. And it brought him such joy, that I never forget him when I think about delivering this form of entertainment to the masses. What advice do you have for anyone trying to break in to sports communication today? Bring the skills of a journalist with you. Talk the same language, understand their world. (4/17/09) — On Opening Day of the refurbished Yankee Stadium, April 15, 1976, it was nearly 90 degrees and of course, I had overdressed, deeming it appropriate to wear a suit and tie on this formal occasion. I was the PR director; I was the guy on the field trying to make order out of 50 photographers and a long list of VIPs, coordinating the introductions with hand signals to Bob Sheppard in the PA booth. All of my “assistance” from stadium security had vanished, dispatched to Mr. Steinbrenner’s office for his pregame party. So there I was, alone on the field with Joe Louis, Joe DiMaggio, Mickey Mantle, Yogi Berra, Whitey Ford, Frank Gifford, Kyle Rote, Johnny Unitas, Weeb Ewbank and others with Stadium pedigrees. Bob Shawkey, who pitched the 1923 opener, was on hand to throw out the first pitch, and he was surrounded on the mound by Mel Allen, the legendary “Voice of the Yankees;” by Pete Sheehy, the kindly clubhouse manager who had been there since 1927; by Toots Shor, the restaurateur whose eatery had been a second home to so many athletes; and by James Farley, former postmaster general, head of the Haverstraw, N.Y. Democratic Party, Haverstraw, N.Y., amateur baseball player, and season-ticket holder since ’23. Whitey Witt stood at the plate –- he was the first Yankees batter in ’23. Although recent publicity has called the remodeled Yankee Stadium inferior to the original, at the time, almost everyone had glowing approval for the project. Escalators, a video-replay scoreboard (which didn’t work on Opening Day), no obstructed-view seating, modern-dining facilities, luxury boxes and a new sound system all had kicked the aging park into modern times. The façade design, not yet held in iconic status as it is today, graced the top of the bleacher billboards. There wasn't seating in the left-field bleachers until it was hastily installed prior to the ’76 ALCS, and thus the attendance of 54,010 was less than the eventual capacity. These thoughts were in my mind as I boarded the crowded D train at Columbus Circle for the 15-minute trip to the Bronx. Today, you can always tell when it’s the right train, because everyone is wearing Yankees clothing –- caps, Jeter T-shirts, etc. I always remember George Weiss, the GM in the '50s, supposedly pounding on his desk in front of a promotion man who was touting Cap Day and saying, “Do you think I want every kid in this town walking around in a Yankees cap?” As if it would be sacrilegious. Upon emerging from the subway Thursday, I the first view is not of the beautiful new Stadium, but of the old one, over there to the left, experiencing the early stages of demolition. I was very emotional when I attended the final game last September, and this is yet another tug at my heartstrings. Sledgehammers are doing their jobs along the bleacher walls, and within the next few months, the concrete will be down, and the reality will really set in. I’ve been going there since 1956. This is tough to see. I was early enough to take a full walk around the new park. There are no statues, as other teams have included, but plenty of signage and banners remembering great Yankees: Ruth to Gehrig to DiMaggio to Mantle to Munson to Murcer to Jackson to Mattingly to O'Neill to Williams to Jeter to Rivera to Sabathia. Yes, to CC. Hey, he was going for his second Yankees win Thursday! And the first rule of promoting your product is to promote the current product more than the old. Everyone is in a festive mood, and there had been rumors in the last 24 hours of not Yogi, but of President Obama -– or of Archbishop Dolan, newly installed just Wednesday, handling the honors. The paper this morning said it would be Yogi, which is just fine. He has been a loveable figure in this town since his 1946 debut 63 years ago. How do you stay so lovable so long? You have to be the real deal, and he is. He's the most honorable, honest and genuine person you could ever know. It is wonderful that he is still with us, just short of 84, to perform this honor. Although he does move closer to home plate with each ceremonial toss! I arrived about two hours early and spent a lot of time photographing exterior shots. I decided that the crossing of 161st Street by hundreds of fans coming off the subway will take on the look of a Yankees fashion parade in no time. And just a few days after New York's traditional Easter Parade! It’s quite a sight to see this sea of Yankees blue swarm across the street towards Babe Ruth Plaza. I’m in Section 212, sitting with Jeff Idelson, my pal for almost 20 years and the president of the Hall of Fame. Like me, Jeff is a former Yankees PR director. The late Anne Mileo was secretary to us both, and it’s a good day to remember Anne as well. So I shot concession-stand price signs, the restaurants, the signage and the museum, complete with all its signed baseballs, statues of Yogi and Larsen and the World Series trophies since 1977. I took a photo of the signed baseball of journeyman catcher Sal Fasano, one of my son’s favorite players, and wondered why I have no recollection of Frank Tanana ever being a Yankee. The old timers introduced were a mixed bag of memories –- good for the Yankees to invite the much-maligned Horace Clark, and how good it was to see Jerry Coleman, Whitey Ford and Bobby Brown, who, beside Mr. Berra, were the senior citizens. The biggest hands were for the more recent players –- Williams, O’Neill, Tino Martinez, David Cone, etc., probably because younger fans cheer louder. Some of my favorites were there: Bobby Richardson, Moose Skowron, Ron Blomberg, Luis Arroyo, Ralph Terry and Bob Turley. (I guess we’ll never see Jim Bouton at such a gathering.) I wish Gene Michael had received a louder ovation, if only for what he meant as a super scout in the early '90s, building the Yankees dynasty of that decade. To me, with a public-relations background, much of a fan's experience should be about how many cheer moments their day at the ballpark provides. For example, I was at the first exhibition game on April 3 against the Cubs. Jackson threw out the first pitch. I think the fans would have gotten a chill if the PA announcer had said, “And joining Reggie for the ceremonial first pitch ... one of his teammates from those great Yankees teams of the '70s ... one of the most popular players to ever wear the Yankees uniform ... here today as the manager of the Chicago Cubs ... a warm Yankee Stadium welcome for ... Lou Piniella!” It would have been a terrific moment. Jeff and I then sat back and enjoyed a baseball game as two old friends should. We commented on Sabathia's high pitch count and rolled our eyes at the leather-lunged fan ahead of us who chose to stand and yell “hip hip ...” on every pitch to Jorge Posada, so that everyone would follow with “Hor-HAY!” Wasn’t it a supernatural act, that when Posada hit the first home run in the new ballpark, our hero was off in the men's room or somewhere and missed it? When the Indians got nine runs in one inning, the fans started to yell “We want Swisher!” after Nick had pitched a shutout inning in the 15-5 loss Monday. That was pretty funny, and I hope Nick heard it in right field. Yankee Stadium traditions continued -– YMCA, three-card monte, the subway race, Ronan Tynan doing "God Bless America," the bleacher bums' roll call, and of course, the captain, Derek Jeter, being The Man. The fans love him, and he’s worthy of it. As Mantle had been a hero to me, and then Don Mattingly to my son, it’s wonderful that someone like Jeter has come along for this generation. Baseball perpetuates itself. It was a Yankees loss, but every team is going to lose 60 games, so you sort of put that aside and move on if you’re a Yankees fan. Posada hitting the first home run was big. The ballpark is a winner. And watching the game with a friend is the best part of it all. Following the opener at Yankee Stadium, the following items were donated to the National Baseball Hall of Fame and Museum and will soon be on display in Cooperstown: game-used ball signed by Indians starting pitcher Cliff Lee, spikes worn by Yankees starting pitcher CC Sabathia and bat used by Indians center fielder Grady Sizemore to hit a seventh-inning grand slam. In fact, whatever each year’s theme was, until the Yankees practically ran out of themes (so long as whatever it was included DiMaggio and Mantle), the new Hall of Famers were always invited, making the Yankee Stadium stop an essential part of their induction experience. Each year, the Director of the Hall of Fame – first Paul Kerr, then Ed Stack, would be part of the receiving committee on the field to greet each guest. They would stand with the Yankee management – be it Dan Topping, Del Webb or Michael Burke, to personally greet each player and hand them an special gift. I had the privilege of serving as Bob Fishel’s assistant in preparing the events from 1968-73, before taking over myself after he moved to the American League. An incredible amount of detail went into the planning, from doing a souvenir program, to writing the introductions, to arranging travel and hotel, to finding old time umpires, to enlisting a band and a color guard, to a national anthem singer, to inviting the Commissioner and League Presidents, to stocking the clubhouse with extra beer, to arranging for old New York Times’ writer John Drebinger to keep an official box score in the press box, to getting fill-in broadcasters to cover for Phil Rizzuto (who never made it back upstairs), or Jerry Coleman, to hiring limos for Mrs. Babe Ruth and Mrs. Lou Gehrig, to coordinating uniforms with Pete Sheehy, to preparing lineups for the game and assisting the “managers” (who barely paid attention), to arranging transportation and the post-game party at Toots Shors or the Friar’s Club, with a separate party for the wives. Claire Ruth and Eleanor Gehrig, always recipients of huge ovations from their box seats, would not only be the life of the party, but would usually be the first to crack the segregated code and lead all the women into the cigar-smoke filled “men’s party,” where the great baseball stories ran long into the night. It was true that on a few occasions, some faux pas by someone would leave DiMaggio out of sorts, and we feared we would never get him back again. But time would heel, and he’d return year after year, hitting 47 of 48 after his career ended, and always greeted warmly by Anne Mileo, our dear public relations secretary, at the check-in table. It was never a problem getting Anne to work on a Saturday when Joe was coming. When the Mets came along in 1962, they had an Old Timers Day right in their first season, which they certainly had a right to do, and it was a great one with old Dodgers and Giants. But from that day on, the Yankees never had a monopoly on the event, and by the ‘80s, corporate sponsorship had taken over and made the gatherings an event at every ballpark. An in-shape guy like a Jay Johnstone could get 40 at bats just making all the Old Timers Games, but somehow, it wasn’t like seeing Bill Dickey. In these years, Jim Ogle, who directs the Yankee Alumni Association, has ably orchestrated many of the logistics, a daunting task when you consider all the former players in the Association who ask to get invited each year.